Take me out to the ballgame! It was a truly beautiful day for baseball! 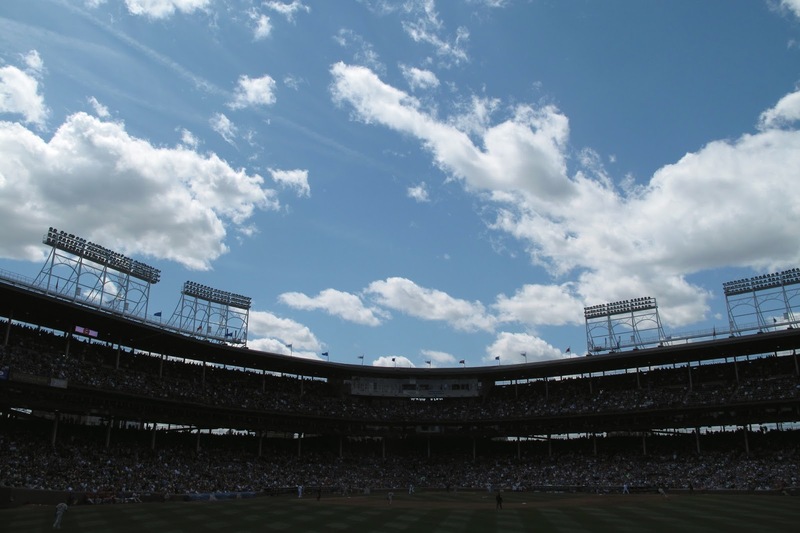 I had been to Wrigley Field as a kid, but that was before I followed baseball. Greg influenced my decision to root on the Redbirds when we were dating in college, but I’ve long told him he needed to see a game at historic Wrigley. I didn’t even realize until the week before we went that this year was the perfect season to take care of visiting Wrigley. 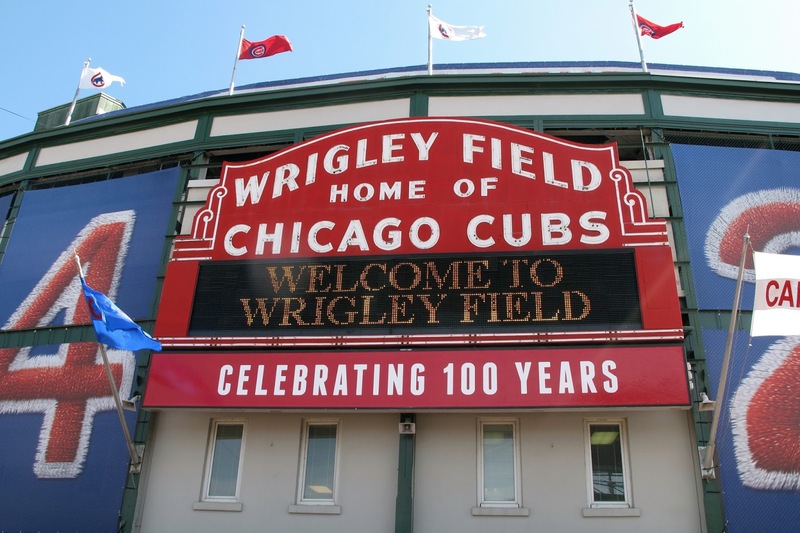 It’s the 100th year anniversary of the ballpark. The Cubs won 3-0 and the game itself didn’t have much action, especially for Cardinals fans. But we had a good time. The kids ended up with a ball from batting practice, thanks to the nice guy near us in the outfield bleachers, and everyone around us was friendly. Yes, even the Cubs fans. Travel: We took the red line subway/rail from near our hotel to Addison street. It was easy to do and we ended up buying a day pass for the rail system because we knew we were traveling north of Wrigley to meet friends and then back south again afterward. And the kids traveled on the subway/rail for free. Our college friend Sarah and her husband Mike live a few blocks from Lake Michigan near the northern city limits. We walked with them to the lakeshore and explored some of that beauty. Cate collected sea glass and Ben tossed rocks back into the water. Neither of these activities is surprising if you know my kids! We ate the breakfast included with our stay at Hampton Inn two of the mornings. It was fine. But we really like breakfast, so we ventured out Sunday morning, hoping for a delicious breakfast. We found one here. It was pricier than we would usually pay for breakfast out, especially at home, but it was a good vacation splurge. Greg has some fancy breakfast burrito and I had French toast on delicious bread topped with glazed strawberries. The kids shared an order of silver dollar pancakes with chocolate chips on them. 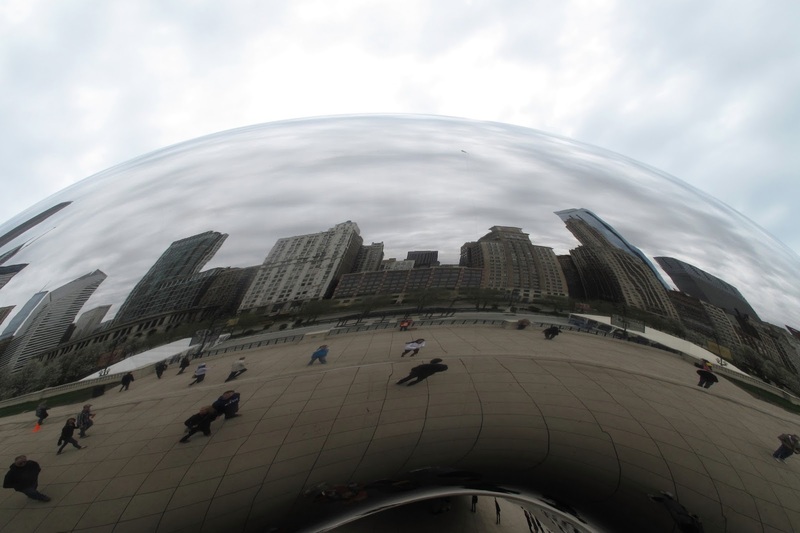 My camera and I have a small obsession with the bean. It’s a bizarre structure, but it’s so intriguing with a camera in hand. But the kids also enjoyed running toward it, acting like they would collide with their reflections. Millennium Park allowed the kids to run off some energy. They also liked the faces in the fountains and the way it appeared the aces were spitting water. As a way to see some sights and move about the city, we took a Grayline Tour on a double decker bus. This gave us good views of the skyline and took us to the John Hancock Building, in which we went up to the 94th floor. Turns out the Chicago Children’s Museum is free for kids the first Sunday of each month so we added this to our itinerary once we learned that and knew we would be nearby on Sunday. It is inside Navy Pier and much larger than I realized. The kids loved all the hands-on activities and play areas. Yes, Greg and I still had to pay $14 admission each, but I’d still say it was a worthwhile investment for our kids. The ferris wheel is what Cate remembers from our 2010 trip, so we weren’t going to get out of town without riding it again. My blogging friend Beth met us at Navy Pier and joined us on the ferris wheel. The real-life time with her was so fun! The kids also rode the carousel and Cate rode the giant swings. Ben would have joined her but he’s not 48 inches tall. We walked and talked around Navy Pier and then had dinner at Bubba Gump’s. Travel: We walked to Navy Pier from the Hancock Building and then back to our hotel afterward. It was a mile each way but easy to navigate. In fact, when booking a hotel I used Navy Pier as a reference point on the map because I was familiar with its location. My kids love zoos. This certainly isn’t the biggest or best we’ve been to before, but it’s free and pretty. Our favorite exhibits were the two 1 1/2-year-old gorillas who were playing with each other and the noisy, active gibbons, including the momma gibbon that swung around while her baby hung on to her tightly! It was a refreshing break with a slower pace – quite a contrast from the hustle most elsewhere in the city. 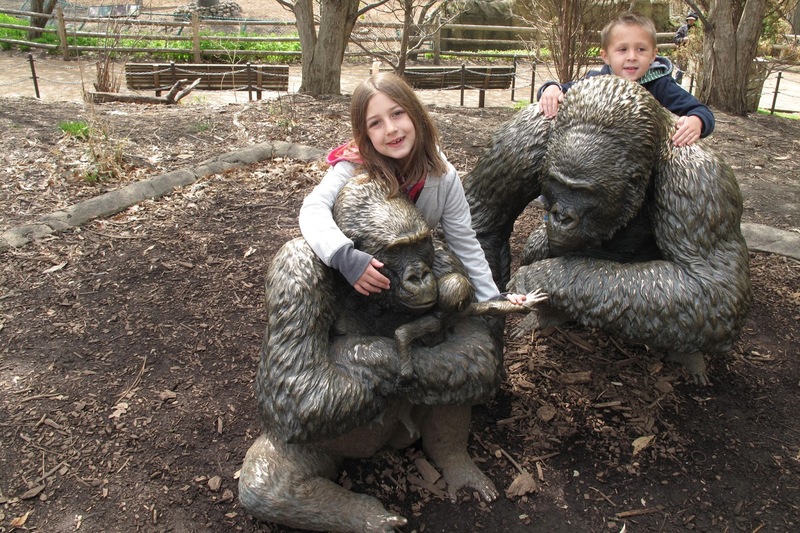 Travel: We got on a city bus near our hotel and rode it to the Lincoln Park Zoo. Our kids rode free, so it cost two adults just $4.50 for the ride. And the kids’ exposure to public transportation continued. Eating Chicago-style pizza was Greg’s goal so we worked this stop in for lunch on Monday. Turned out to be a great time because the restaurant had lunch specials and service prompt enough for business people on their lunch breaks. Yummy! This is a “museum” our family enjoyed. Greg and I aren’t museum-goers typically but this is well worth much of a day and strep ticket prices. 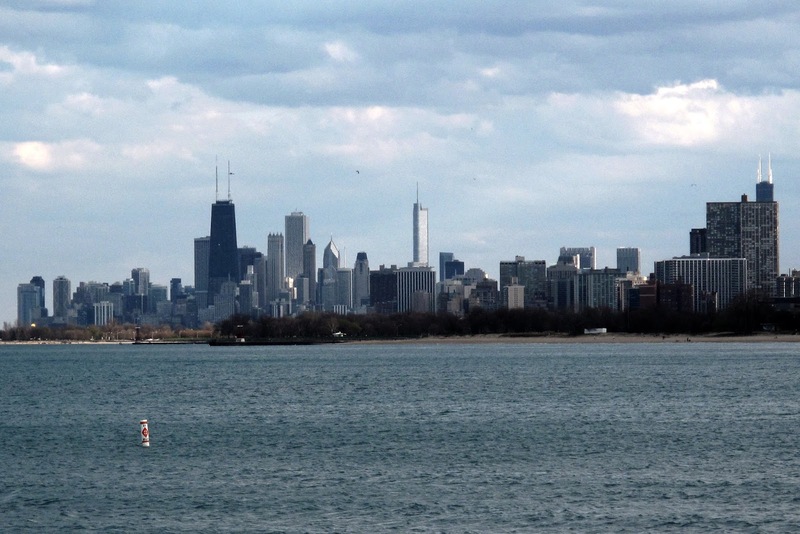 The Shedd Aquarium is near multiple other museum and offers fantastic views of the skyline as well as Lake Michigan. 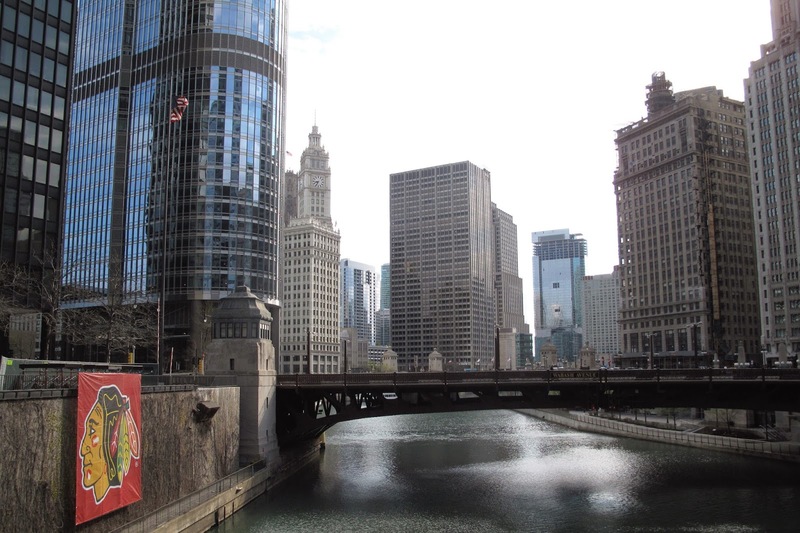 It’s a lovely boat ride on Chicago River and offers some different views of buildings. Cate was 3 when we went and wasn’t interest in the building details shared by the tour guide but did enjoy the boat ride. We left Ben at the hotel with Gran-Gran that time! Kids aren’t given much of a discount on this boat tour, which is a definite drawback for a family. 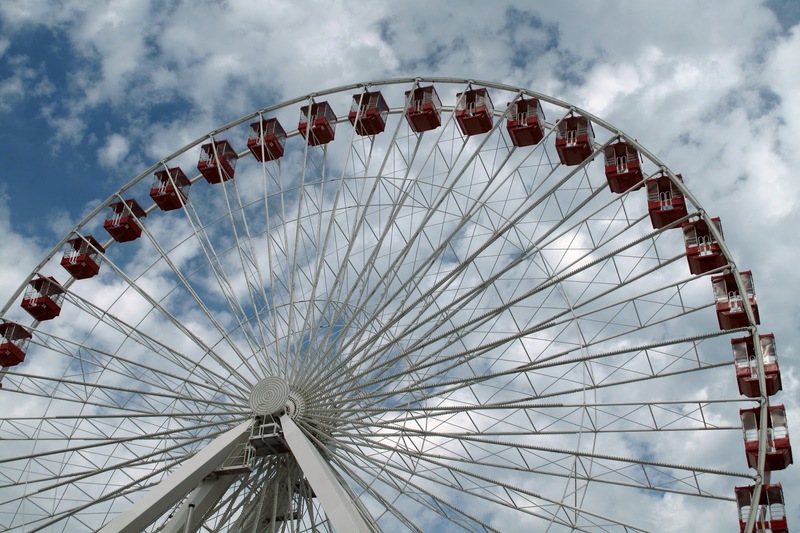 If you’ve been to Chicago, what would you add to this list? This is the second in an occasional destinations series I accidentally started recently. See the Murray Edition here. 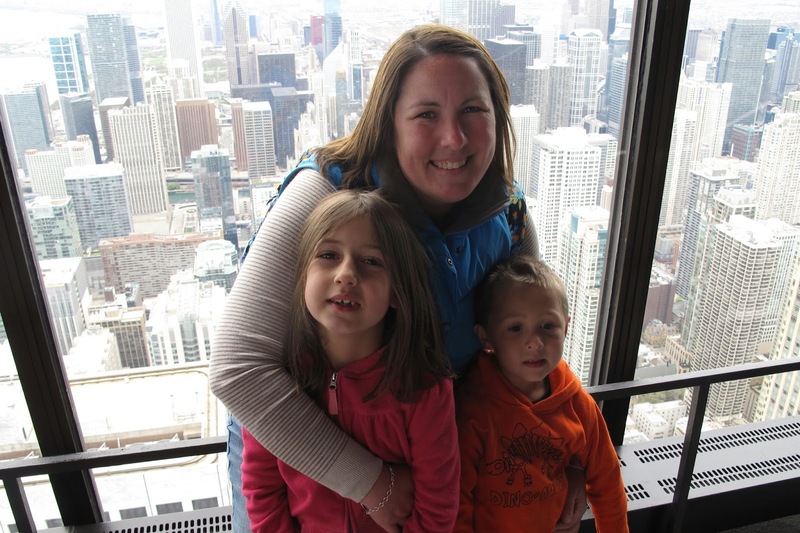 I also posted about traveling by train to Chicago with kids earlier this week. You can see our pictures in an album here. Thanks, Mindy! I could go for some of that French toast too … 🙂 Chicago is a great place to visit if you're ever looking for a destination!